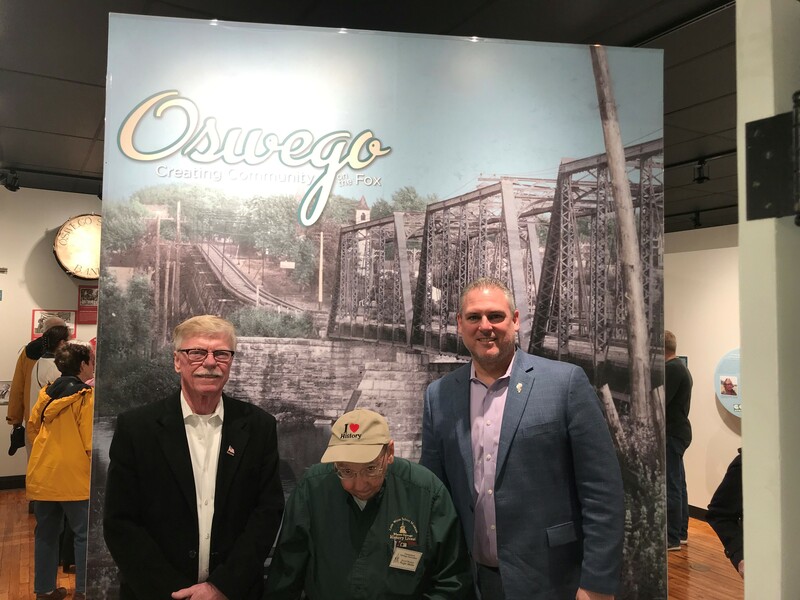 Pictured (left to right), Oswegoland Park District Board President David Krahn, Oswego historian and Little White School Museum Director Roger Matile, and State Representative Keith Wheeler. State Rep. Keith R. Wheeler, R-Oswego, attended the ribbon cutting and Gallery Grand Reopening of the Little White School Museum in Oswego on Sunday. The gallery renovation includes hands-on, digital and traditional exhibits designed to tell Oswego’s history and heritage. The event was sponsored by the Oswegoland Heritage Association and the Oswegoland Park District. To learn more about the Little White School Museum, please click HERE.